Moms concerned with living a healthy lifestyle are always on the lookout for safe and natural pest control alternatives. The problem is, when it comes to mosquitoes, most natural remedies do not work well enough to protect your kids from the problems mosquitoes can bring. The dilemma is always the same: risk exposing your children to the harmful effects of DDT or risk exposing them to the deadly diseases that mosquitoes often carry. 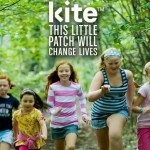 A safe solution might be just around the corner: the Kite Mosquito patch has received plenty of seed money, including contributions from the Bill And Melinda Gates Foundation and the National Institutes of Health. The U.S. Department of Agriculture and the Walter Reed Army Institute for Research have also been contracted to provide testing and research. The NGO Pilgrim Africa in Uganda will be utilized for field testing. Interesting. Apparently, the 2-by-2 inch adhesive patch that you wear on your shirt, works by interfering with the mosquito’s ability to sense your emission of CO2, essentially making you “invisible” to the pesky blood suckers for about 48 hours. Even better – the developers claim that the active ingredients are non toxic and considered safe by the FDA for all – children, seniors and pregnant women included. If true, this might prove significant for countries where malaria, West Nile and other mosquito-borne illnesses affect large portions of the population. 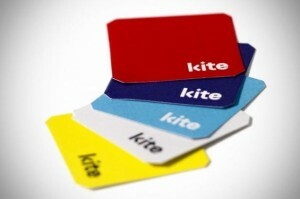 According to the World Health Organization, more than 200 million people contracted malaria in 2010, so the Kite Patch has the potential to be worldwide breakthrough in countries such as Africa where over 91 percent of malaria cases occur. No details yet on if and when the patch will be available or how much it will cost. As of this writing, researchers are still looking for an additional $75,000 to complete the field trials. A worthy campaign and certainly one to keep our eye on!